Fits slender-width, 88-note keyboards. 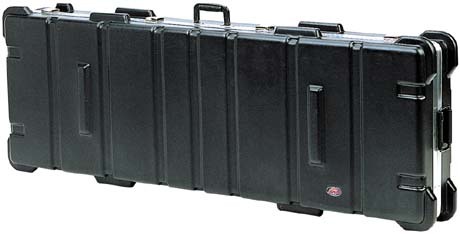 SKB's slender-width keyboard case features polyethylene "puzzle foam interior" for a customized snug fit. Meets ATA CAT 1 Specs as an airline shipping container and is fitted with tough, lockable security latches. Has indestructible built-in wheels.